All UK businesses have been wrestling with GDPR (the new General Data Protection Regulation (GDPR) (EU) 2016/679) and what it means to them. In particular, Alpha Tracker asbestos software users will be wondering what we have in store so I thought a blog would be useful to summarise the 6 key GDPR principles and where we are making software changes to suit. Please note - if all your Alpha Tracker asbestos consultancy work is "business to business" then GDPR is less relevant to you. 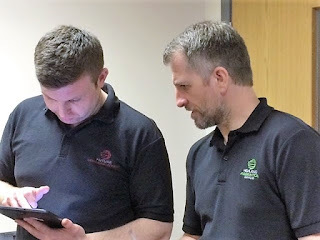 But... if you do any asbestos surveys, re-inspections or removals at domestic premises and store personal information including names & addresses of homeowners or tenants then you need to take careful note of GDPR! There are a number of new rights for individuals enshrined within GDPR. For example, there is a "Right to Erasure" or "Right to be Forgotten" and a "Right to be Informed" about what an organisation stores about an individual. In the next Alpha Tracker release, we have new features to help your staff to deliver these rights. Businesses need to make sure that people understand what is being stored about them and why. They will also need privacy policies to meet the GDPR requirements. In Alpha Tracker, we will enable you to link the software to your policy so your admin and customer-facing staff have easy access to it. This allows individuals to request that their personal data is removed from an organisation's systems. The next release of Alpha Tracker has a feature designed to make this quick and easy to do. Businesses will be required to appoint a DPO to help them comply with all their obligations under GDPR. 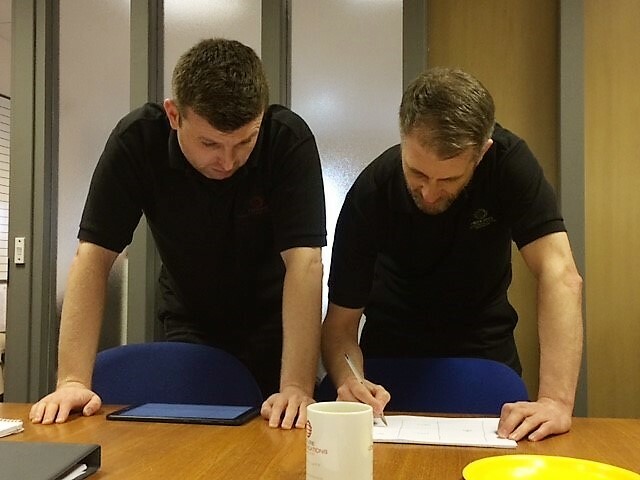 Alpha Tracker will enable you to store the details of the DPO in the system so that customers and staff can easily identify the person responsible. There are new obligations on organisations to keep data more secure. We will be offering our Alpha Tracker customers enhanced security features including, for example, the encryption of all data held within Alpha Tracker and moving server data centres to facilities with the highest possible security standards. If there is a data breach, the GDPR regulations insist that organisations follow a specific, thorough process in response including identifying individuals affected and notifying the appropriate authorities. In all of the years we have operated Alpha Tracker, we have yet to experience a data breach. We are not complacent, though, and we will continue to focus on server and software security as a priority. We have also updated our procedures should we become aware of a data breach. 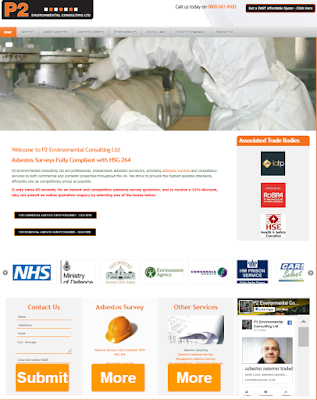 Welcome asbestos specialists P2 Environmental Consulting to the Alpha Tracker family! P2 offers the full range of asbestos consultancy services and the directors have decided to switch to Alpha Tracker to improve their efficiency and productivity as well as to improve the service they give to their clients. We like feedback of all types. Direct, constructive criticism helps us to improve. Positive feedback send us home with a spring in our steps! As I’m sure you are aware ‘Alpha Tracker’ has been doing what ultimately we require. Over the period I have added, amended, removed data with success. I can also categorically say the support from yourselves has been great. They always say it’s the resolution time when something doesn’t work that is always a true measure of a good product/good customer service. 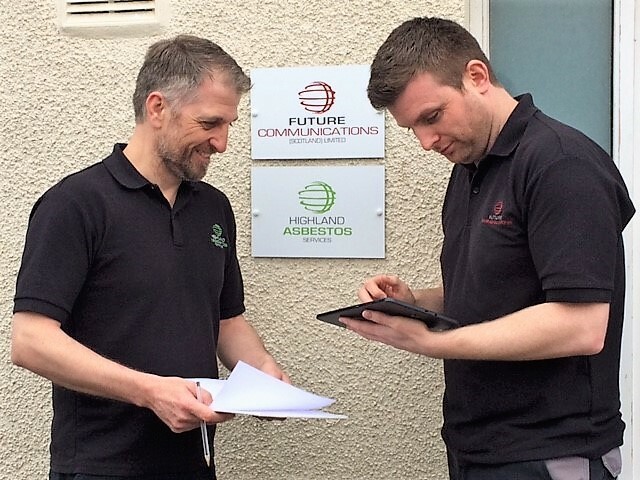 Another Scottish asbestos consultancy - Highland Asbestos Services - has gone live with asbestos software Alpha Tracker. 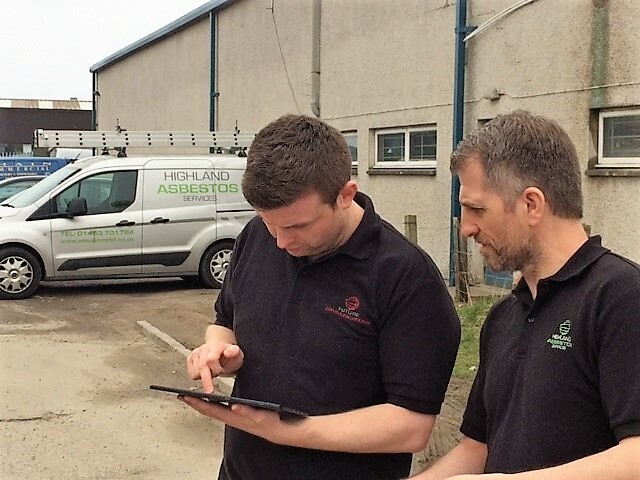 Highland Asbestos Services are asbestos specialists and deliver management surveys, refurbishment/demolition surveys, re-inspections and asbestos sampling & analysis services to various industry sectors. 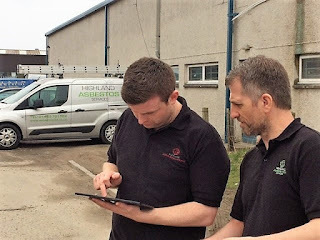 If we can help your asbestos consultancy to "ditch the paper" and start producing asbestos reports with virtually no admin input, do get in touch. I'm on the road again today to meet more Amianto asbestos software users. 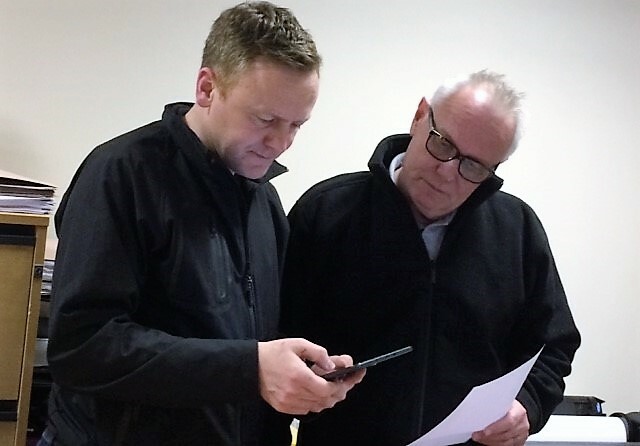 We announced the acquisition of NGNine Ltd and their Amianto asbestos software last month (see http://robinbennett.blogspot.co.uk/2018/03/acquisition-of-ngnine-ltd-complete.html). I've enjoyed travelling the UK during the last month to meet the Amianto users, to learn about their organisations and to tell them about our plans. I think today is the last day of these introductory meetings - I need a break! It's the end of Global Asbestos Awareness Week and a number of our Alpha Tracker asbestos consultant clients have been running special events. 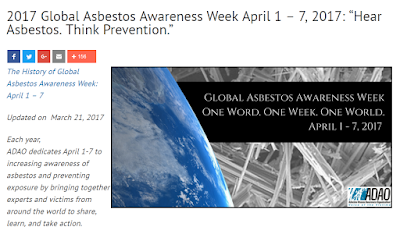 Other clients have been Tweeting and posting on blogs and Facebook to highlight the event - take a look at https://twitter.com/hashtag/gaaw?lang=en and you'll see RSK and MCP, for example, with lots of posts references the #GAAW hashtag.